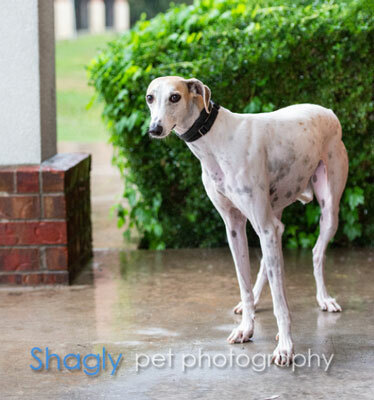 Debra is an approximately 3 year old white and fawn female rescued by Debra Sizemore of Happy Tails Rescue in Seymour, Texas. Debra, of course named for her Champion, had been sighted for at least 3 months in and around the town of Seymour. It wasn't until September 20, 2018, that she was finally captured in a dramatic attempt by Sizemore and her volunteers. 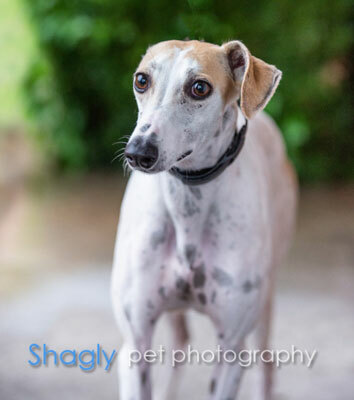 Debra has completed her medical procedures and is learning to trust people in her foster home. It is not known at this time if Debra is small animal of cat tolerant. She had been running around town for about 3 months. I had attempted to catch her on several occasions. I notified the Animal Control Officer and he said he had already had a lot of calls concerning her. So I would get calls daily from people in town stating they had seen her again. So I told them to call the police department to make them do something to help me catch her. So on Thursday afternoon, I get a call from a lady saying that the dog was lying under a trailer house across the street from her. I rushed over there and saw her lying there. I called the ACO and told him where I was and to meet me. He came with a tranquilizer gun and we tried to get close enough to use it. We failed. We went to the P.D. Officer and he put some pills in some hamburger meat to sedate her. Took to the trailer; put it under it; she ate it. About 30 minutes passed, I was the only one there waiting and she started to run in the street. I called the ACO and he was busy. Well I called 3 of my friends and they showed up. She was so groggy from the sedative that she was going into traffic on the main highway. We were in our cars following her with our flashers on. Traffic was stopping for us. Several times I thought she was going to get run over. We still followed her. She would just run as fast as she could, running scared. We never gave up. Finally this went on for 6 hours. Several times we jumped out of the vehicles thinking we could catch her. Finally she went into an area I know very well and it was a fenced-in area. Susan L. and I shut the gate and we had her. YEAH! But I still could not catch her. So I called Linda and Robert T.; they came and, no joke, she walked right up to Robert. Damn. LOL! Got her to rescue and gave her a Nexguard for fleas. Then noticed her breathing was weird. She had too much sedative. I contacted my vet, Dr. T., at Dean Dale Clinic and she said take temp and then IV fluid her. We did and she is doing a lot better.